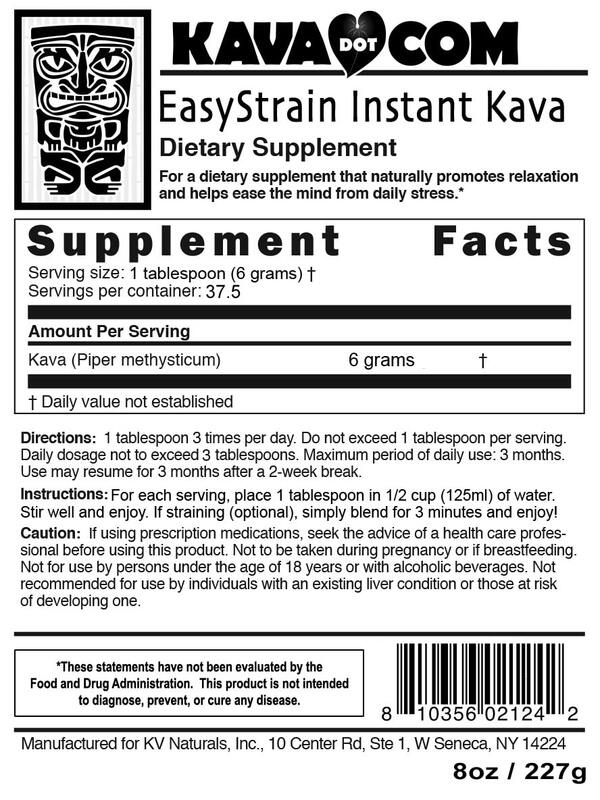 KDC EasyStrain Instant Kava makes preparing kava drinks easy. Unlike with kava root powder EasyStrain Instant Kava does not need to be blended and strained, although doing so will make for a smoother drink. 4 oz. $18.99 4 oz. 18.99 Kava Points. 8 oz. $34.99 8 oz. 34.99 Kava Points. This is truly a unique product in the Kava Marketplace; this is a Micronized Instant Kava Mix, where all you do is add 1 tablespoon to 125ml of your favorite liquid, stir, and drink. Straining is completely optional. For best results, we still recommend placing into a blender and blending for 3 minutes, but that’s completely up to you. Placing in a blender will make a stronger drink. And then a quick strain through a coffee filter or a muslin bag, or not at all makes for the easiest and strongest Instant Kava Mix available. 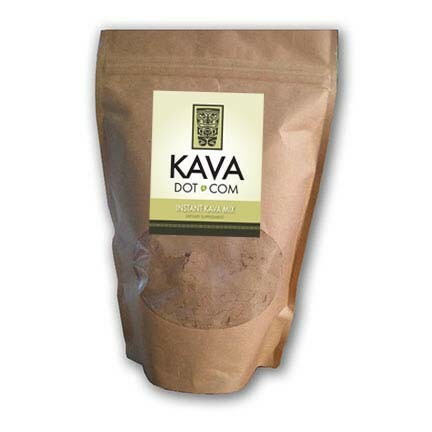 Made from a Noble Variety of Kava, this is beyond a simply micronized Kava. This product has carefully had 92% of the rough root material painstakingly removed, automatically concentrating the Kava, and making it blend well and stay suspended in water. Balanced effects, easy to use! Easy to use, but I would recommend mixing with chocolate milk if you dislike the flavor! A smooth sensation and calming effect on the body! The powder dissolves easily! This is great. It mixes well with milk or water in a blender however. Stirring it may not dissolve it completely. It’s highly effective. Use the recommended amount only!